party, second chances, and the gifts you bestow by putting compassion first. 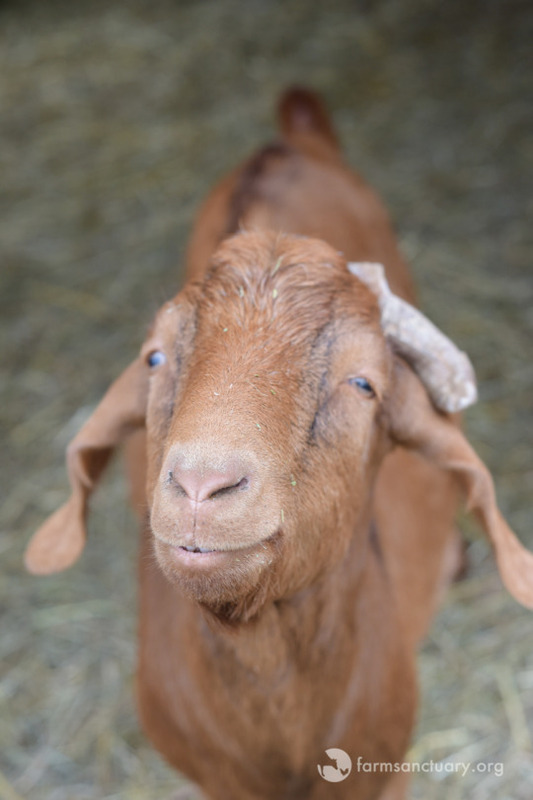 Your support helps goats like Kagen enjoy the happy, healthy lives that they deserve! 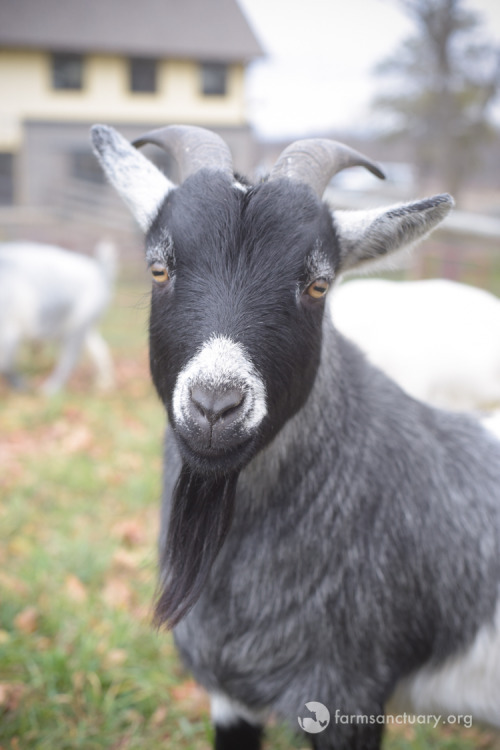 Dapper gentleman Archie inspires us to put our best foot (or hoof!) forward and make a difference! Goodwin and Lucie enjoy a brisk fall stroll. Young Henry enjoying pasture time. Min and her twin sister Lulu are full of fun. 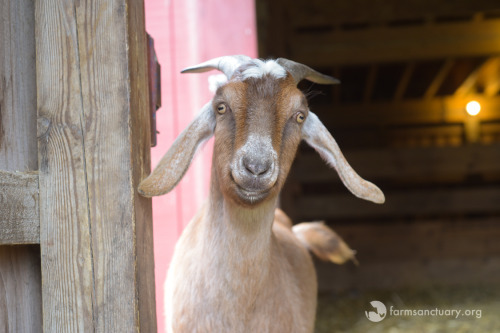 Tatiana goat, rescued from a backyard butcher last fall, is now free to enjoy all that Farm Sanctuary life has to offer! important to us and acknowledge all that we have to be thankful for. Coston discusses the impact we can make when we put compassion first. 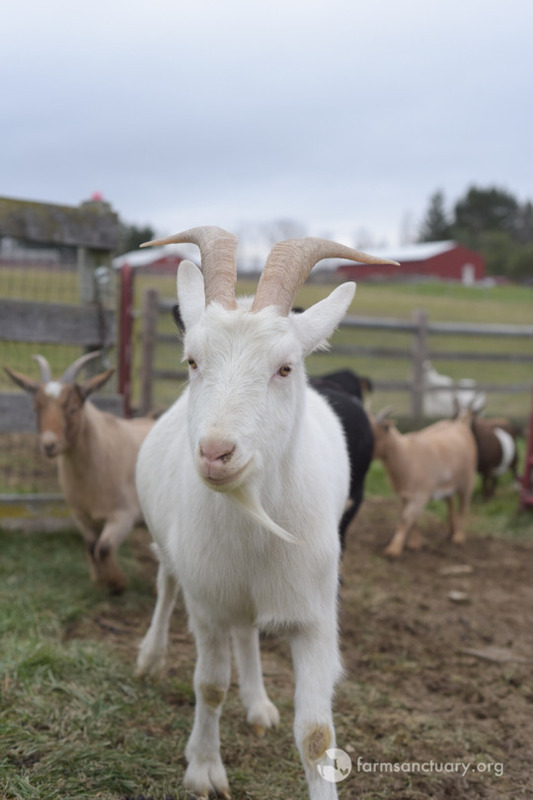 At Farm Sanctuary, we give each animal the individualized care that he or she needs to thrive, and we couldn’t do it without the generous supporters who make our lifesaving rescue, education, and advocacy work possible. case in Cattaraugus County, NY. 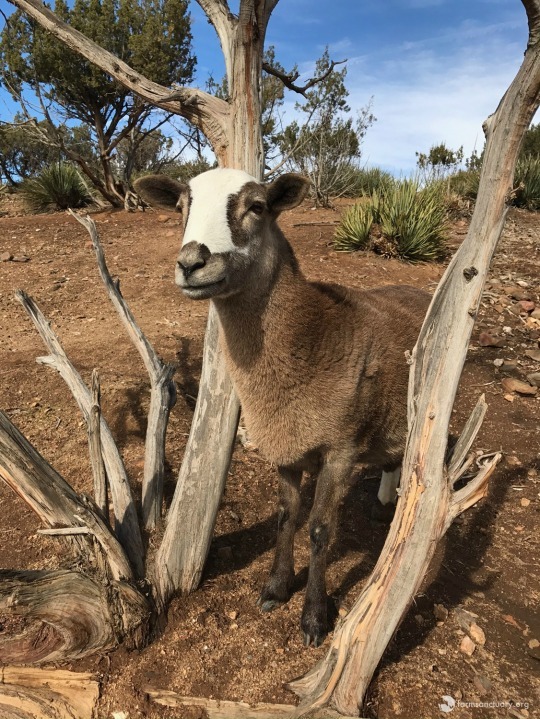 Today, Earl and his friends are enjoying the happy lives they deserve! 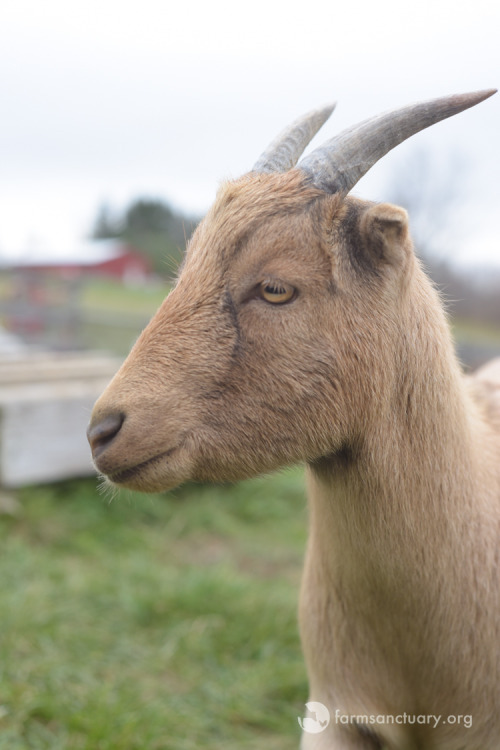 The farm owners presented their facility as a “humane” farm-to-table operation, but the conditions these animals faced were anything but humane. Today, Kagen is all smiles. Earl, Jamie, Ian, and Kagen spent their entire lives indoors, shut away inside dark, filthy barn stalls. 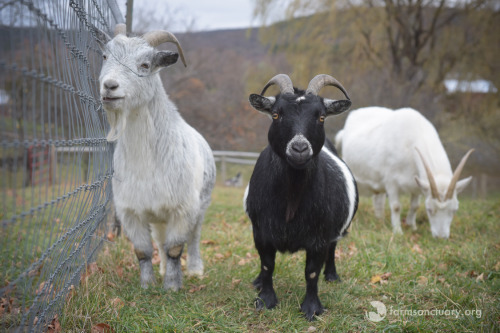 When we brought them to our New York Shelter, they were too terrified to step outside. They were emaciated and full of parasites. And perhaps the most heartbreaking part was that they didn’t know how to simply be goats. 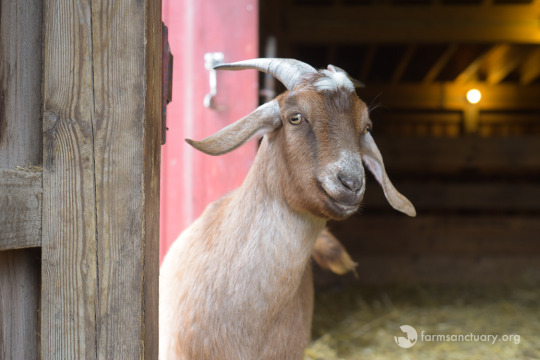 Kagen loving Farm Sanctuary life. 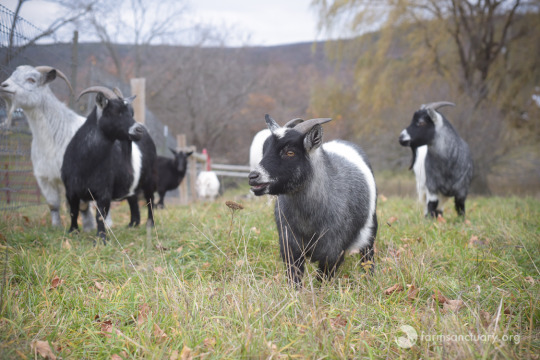 After months of physical and emotional rehabilitation, these boys thankfully began to feel at home; and finally, their unique, beautiful personalities began to shine through. 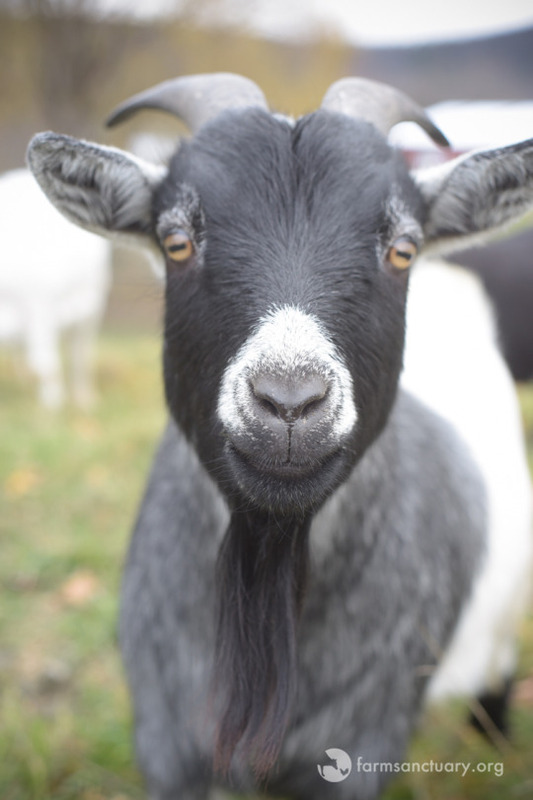 We had adoptive homes lined up for all 13 goats through our Farm Animal Adoption Network (FAAN). placement fell through. It’s one of the many challenges of running the nation’s largest network for farm-animal adoptions. So for the time being, they are happily roaming and romping together at our New York Shelter until they find their forever home. 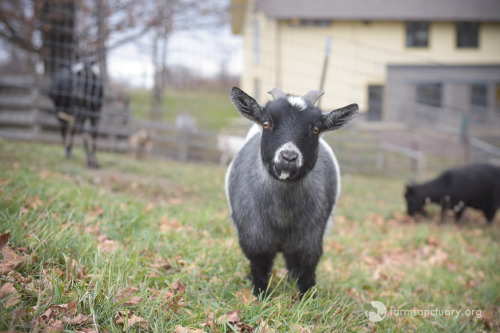 Maggie, Olive, Archie, Tatiana, Aretha, Lulu, and Min goats continue to thrive and love life. 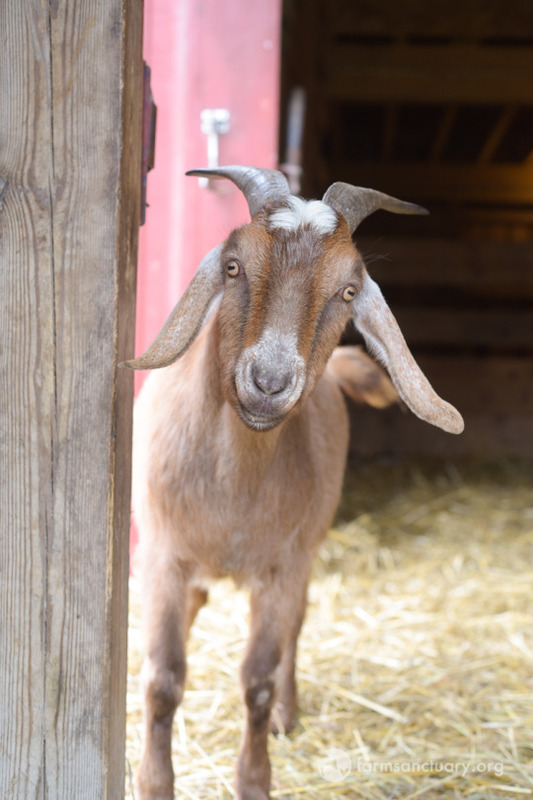 In a season of gratitude, we can’t help but marvel at how much life has changed for the original four members of this septet, who were among the 170 rescued just last October from one of the most nightmarish scenes of neglect we’ve ever encountered. Tatiana and Archie lead the way (followed by Olive and Lulu) as this happy little herd comes up for a visit. Archie was in particularly terrible condition when he arrived, and his progress since his rescue has been incredible to witness. 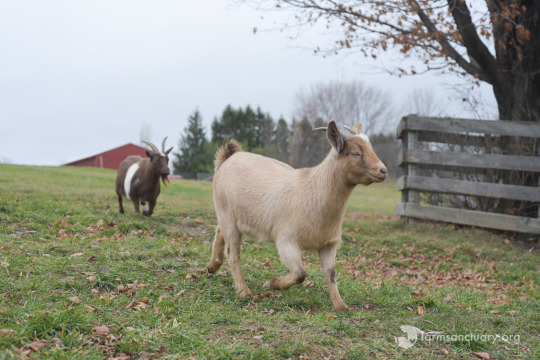 At Farm Sanctuary, daughter Lulu and mom Aretha (plus Lulu’s sister Min) will be able to stay together for life. and her kids Za, Lola, and Henry, who were once so terrified of humans. 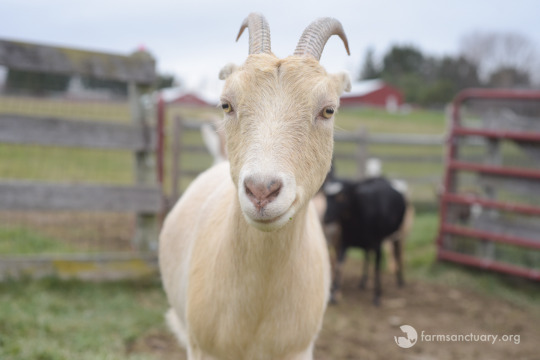 They’ve come a long way and are today so much more at ease with Farm Sanctuary life thanks to friends like Goodwin. Goodwin and Lucie at left; Lola in the middle; and Henry, right rear. 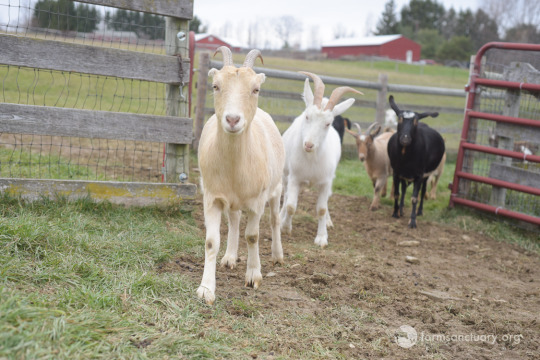 This special family once faced a terrible fate, but at Farm Sanctuary, they are living in peace among those they love best. Happy Birthday, Kelley & Nina! Birthday girls Nina and Kelley. California Shelter for these friends, who have grown (literally and figuratively) so much over the past year! Kelley (left) and Nina enjoy a scrumptious vegan birthday celebration! one morning, having been left anonymously overnight by a caring friend. 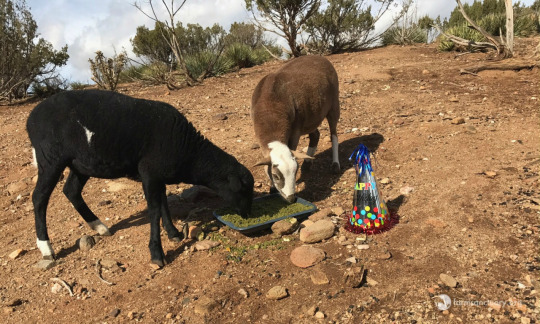 Once they’d received the treatment they needed and were ready to travel, they made their way to their permanent home in Southern California. Nina loving life at our Southern California Shelter in Acton, CA. 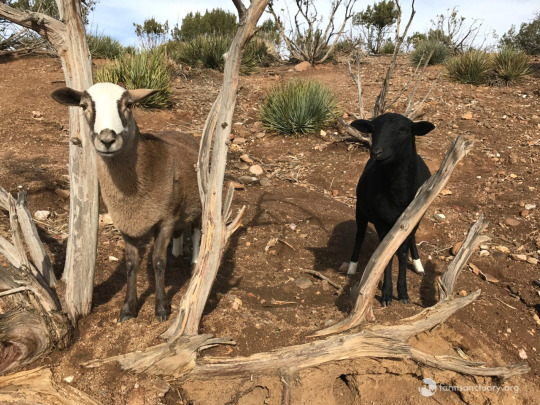 these sweet California girls are happy, healthy members of their flock, and it is incredible to see what a difference a year makes! We treated the girls to a special birthday “cake,” and it warmed our hearts to see them chowing down with gusto! We’ve shared the celebration below in case you wish to sing along. And we hope this week’s tales have added some warmth to your winter days. 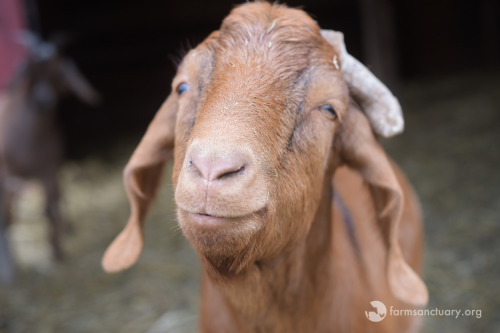 For more Farm Sanctuary updates, be sure to follow us on Facebook, Twitter, Instagram, and YouTube. 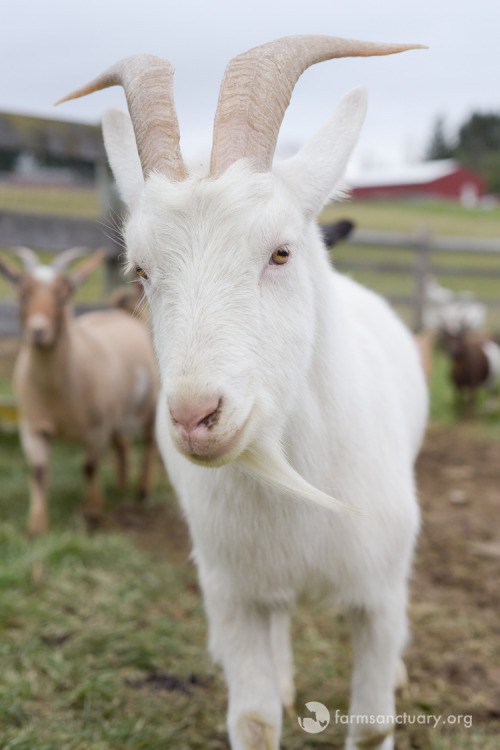 Want to meet our incredible rescued residents in person? Learn how to visit here. Want to help? Your support makes our rescue, education, and advocacy efforts possible. 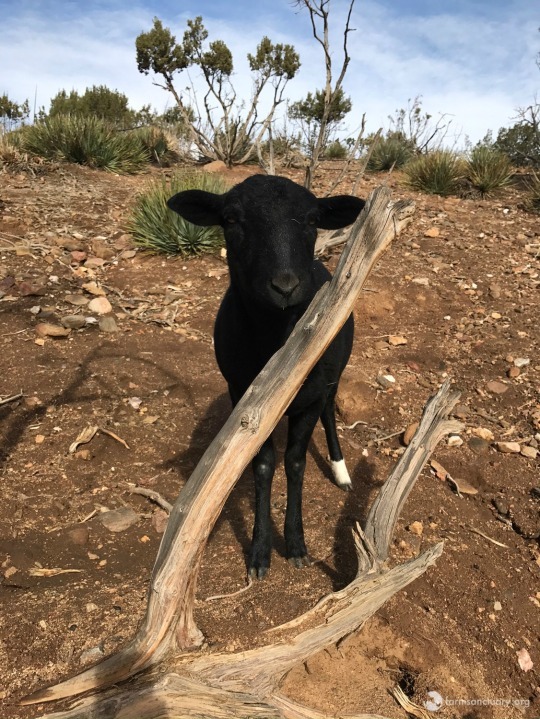 You can also help by sharing our residents’ stories to spread the word that farm animals like them are each someone, not something. A compassionate world begins with you!